When you plan to enjoy a day at the beach or out in the water, you need to consider some protection from the elements. When basking in the sun for the day in the sand, overexposure to the sun can be detrimental to your health. Sure for this instance, you can use multiple layers of sunscreen. But when you plan to be in and out of the water sunscreen can be rendered useless. While in the water, depending on the temperature, you can become cold essentially ruining a great time. As we all already know going from wet to dry and back to wet again can wreak havoc on our skin as well. Friction paired with sticky sand can cause some pretty irritating rashes, which can take a few days to clear up. What could one possibly do to prevent all of these issues? In situations like this, many people will choose to consider adding a rash guard to there sporting apparel. A garment such as this is designed to give you protection from the sun, can be used as a line of defense against rashes, and have been known for offering some warmth when it is needed. There are many variations for this type of product on the market today. Choosing the one that suits you best doesn’t have to be that hard. Knowing what you intend to use this type of garment for will help you narrow the playing field. As will knowing the type of material you will need for comfort. Another great way to eliminate some of the options, using a buying guide such as this one. Here you will find plenty of important information to help you choose the best possible match for you. Included with this guide, you will find a list of what we have found to be the ten best products on the market right now. The list will contain some solid information about each product. Highlighting what other users have found to be beneficial. The first selection we come to is not what you would consider being of the typical variety. Comfort and protection are a part of this selections end game for you. Not what you would typically think of for this type of gear, this one is designed to fit differently. You get some of the same great features with a looser fit. Perfect for those who are uncomfortable with the more contouring version. The main focus of the garment is to provide you with protection against the sun. That goal focus has been achieved as the material offers you 50 UPF. That is a ton of protection from one article of clothing. This is an excellent choice for comfort as well as potential benefits. It dries quickly reducing the amount of irritation your skin will have. The most valuable asset to this gear is the high UPF rating. Keeping you protected from the suns harmful rays. This product has a high UPF rating. The fit is more relaxed. The material is quick to dry. Has a wide variety of color choices. There are issues with inconsistent sizing. Here is another great option for those who seek a more relaxed fit. Made with added comfort levels while remaining as functional as the rest. The truth is that you will hardly even notice that you have this one on. Aside from the more relaxed design, the way the fabric is put together will provide you with the feeling of comfort as well. Add to that the fact that this is a lightweight option and you have a heck of a deal. Most of the time the irritation that can occur to the skin is due to the shirt being wet. Making it hard to go from water to land activities. The material selected for this option will dry quickly so the irritation level will not exist. With this option, you gain sporting apparel that will allow you to remain comfortable during all your activities. All of this while still offering you a decent amount of protection as well. Made from material that dries quickly. The construction phase of the material adds comfort. Has long sleeves for added coverage. This option has a high UPF rating. Some customers have stated that the sizes run bigger. Seam construction is a little weaker than desired. The material blend used to construct this option will provide you with a fit that we haven't discussed yet. When seeking an option out for performance it is best not to pass this one up. 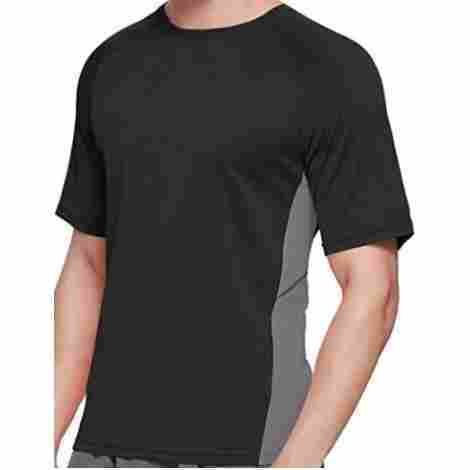 Made from a blend of polyester and spandex material, you get a fit that is more contouring than the previous two choices. These two materials offer you a breathable option without movement restrictions. When you are an avid water sports participant you need an option that will perform as well as you do. The seam construction for this option will deliver in the performance area for sure. They come equipped with specialized stitching to reduce the irritation without adding restriction. When it comes to big named manufacturers you can bet that the quality of the product will not be compromised. With that great quality often comes at a higher cost. You have to decide whether you want to sacrifice the quality. Made from materials that are breathable and non-restricting. Seams come specially stitched to reduce chaffing. Offered in many different colors. Some have suggested ordering one size up. Next on the list is an all-around great option for all your sporting needs. Made to quickly wick the sweat away you will stay dry during periods of sweat. While the shirt will also dry quickly when using it in the water. Chaffing is an age-old skin irritation that can now be prevented. With a garment selection such as this, you get a form-fitting option to reduce the amount of chaffing that can occur. Many who have selected this product have decided to wear it on land and in the water. The materials that are chosen by the manufacturer have been found to keep you warm during the offseason as well. Here is an option that will definitely give you your money worth. As you can use it for all your sport, work, or exercise needs. Making this one of the most efficient options we have looked at yet. Can be used for many occasions. This is a more form-fitting option. Offers a high UPF rating. The materials dry quick and are breathable. Customers have complained that the sizing is on the small size for these. The next selection has plenty in store for the user as well. The material blend provides plenty of durable attributes while still remaining breathable. 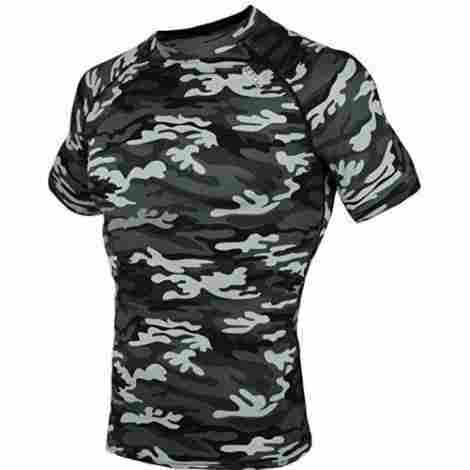 Made from a combination of polyester and spandex you get a comfortable fit with a high level of durability. This garment selection is also stretchy enough to reduce the amount of irritation to your skin. The manufacturer claims that this has one of the highest UPF ratings available. With the ability to block out 98.8% of the suns harmful rays. That is a rather large amount of protective potential in one small package. For a fraction of the cost as most of the others on the list, this option packs a punch. Offering you a high level of sun protection while reducing the amount of irritation to your sensitive skin. Has a large variety of colors and patterns. Claims to block 98.8% of the suns harmful rays. Designed to dry at a fast rate. The pigment form the darker colors can discolor your skin. Here is an option designed to give you a snug fit. Which is perfect for catching the next wave. With a short sleeve style, you can freely paddle when you need to. 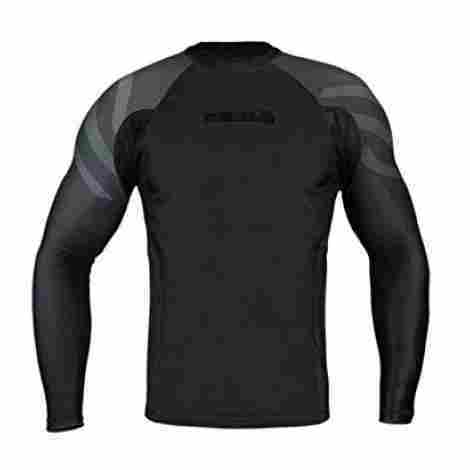 The style of sleeves you have on your gear is an important factor for your activities. Which is why this should be your next choice for paddling or swimming. The sleeves for this option are short so they won't restrict your motions. Although some will prefer a less tight feel one that is snug has plenty to offer as well. With a snug fit, you get more freedom of motion. As the material moves with you rather than working against you. At an average cost to the consumer, this option has plenty of potential benefits. Allowing you to move more freely when you're out on the waves giving it your all. Made to be a snug fit. The neck is a lower profile. This is a short sleeve option. Some customers have questioned the durability of the seam construction. Next, we have an item that gives us a totally fresh look at the subject. You can use this one for lounging on the beach. Offering your skin an amazing amount of protection while keeping you in style. This is the first design that we have come to that is offered in hoodie fashion. It is easy to take on and off, as it is also a zip closure design. With the sleek design and colors offered you will be the stylish one on the beach. Just because the look is different doesn't mean it has no potential. This has a UPF rating of 50 which is great for blocking the sun. The materials used will offer you resistance to abrasion as they will dry quickly. When you want to look great while remaining protected this is the choice for you. With the sleek design style and colors offered you will be hanging on the beach in a stylish fashion. This option is of hoodie style. Offers you a high UPF rating. Comes in many color selections. The materials will dry quickly helping to reduce abrasion. Some have complained that the sizing seems to be all over the place. Now comes a garment that was built to suit many sporting needs. The material make-up alone has the potential to be one of the best out there. Many have stated that they hardly realize they have this one on. When you need to move fabric that is restrictive can be a real pain. Not with this gear selection. The fabric can stretch in four directions making motion a thing of ease. Seams can pose a problem when it comes to rubbing and irritation. In order to prevent this issue, these seams have a slightly different construction style. They have been stitched in the flat-lock fashion, basically ensuring that the seams lay flat. This will reduce the amount of rubbing while you are moving around. This particular selection can become the next valuable asset to your watersport gear. The stretching ability of the fabric will allow you to move freely while in the water. The seams will reduce the amount of rubbing that occurs during movement. Making this one potentially great purchase. The material blend allows for 4-way stretching. Known for its quick-drying abilities. The seams are a flat-lock construction. Is stated to block 95% of the suns harmful rays. Customers have complained that the sizing seems to be all over the place. The next one we come to offers you some potential health benefits as well as protection. Added to the design of this selection are some amenities used for comfort. Not only can this be used as a layer of protection it is also beneficial to your overall health. 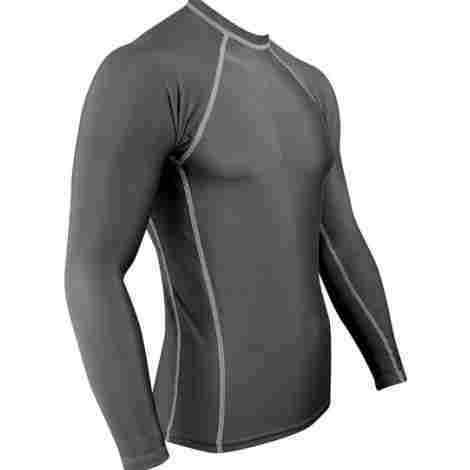 Here is an option that also serves as a compression shirt. 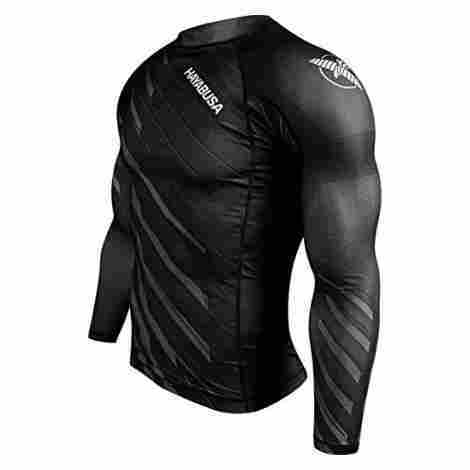 Compression shirts are great for promoting good blood flow through your muscles. Which in turn will speed up the time it takes you to recover. When the sweat gets the best of you bacteria can start to grow. This can produce some funky odors within your sporting gear. Not with this option, it was built to combat that issue with its antimicrobial properties. Not only that but there are mesh panels included in the underarm area. These panels allow air to circulate reducing the amount of sweat. Exceeding the expectations of many, this option will have more than what you have bargained for. Great for your overall recovery and health this option will work just as hard as you do. This works to reduce the muscle recovery time. Has mesh vents for circulation. Can reduce bacteria and odor issues. Some have stated that the sizing for these is off. Others have had issues with the material having a pilling effect. The last one on the list is a game changer for performance. Here is an option that will work to keep you in great physical condition both inside and out. Not to mention the fact that we have found this to be the best looking option thus far. When you work hard you expect the same from your equipment. This is exactly what you get from this selection. It will keep the juices flowing while regulating the temperature of your body. Keeping you in pristine condition during your workout. All too often the reason a person works out is to achieve the look they want. A gear option such as this can enhance that look tenfold. 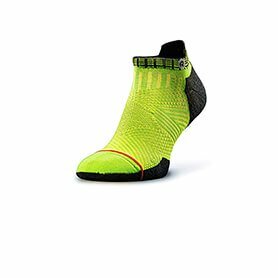 It is a compression option so you can be sure it will accentuate your muscles to the best of its ability. The performance that this offers will cover the higher cost all on its own. Not all of these options are for use in the sun or water. Sometimes we need friction protection while working out as well. This option will deliver when it comes to performance. This option is also a compression version. The fit is snug and contouring. Has the ability to regulate body temperature. Has the ability to be a breathable option. Some have stated that the sizes for these will run small. Next, you will come across the section that will include the plethora of information we used to create the list of product. Here you will find out the material choices you have. Along with the different uses that the garments were intended for. Immediately following the information, you will find a section reserved for questions that we found to be the most common. This helps to clear up any further bumps in the road to making your garment selection. In order to choose the right type of protection, you first need to know what this type of garment can be used for. Protective options such as this can give you some defense against the sun. They are also great as a barrier layer under a wetsuit to combat against chafing and rashes. When you know that the water temperature will be low, this type of clothing can add a layer of warmth for you. It seems to be that these were more commonly used by surfers when they first came out on the market. Giving the surfers a barrier to prevent rashes that occurred due to friction. Now you will find that many people have taken to wearing this type of clothing for all their water activities. Whether they are using them to shield themselves from the sun or as a cover layer over their bathing suit. You will notice that these have hit the water running with growing popularity. There seems to be a growing number of design styles on the market. It used to be either a long sleeve or short sleeve shirt. Now you can choose between those plus a full body suit or even a vest. The right one for you will turn out to either be a personal preference or suited to your situational needs. 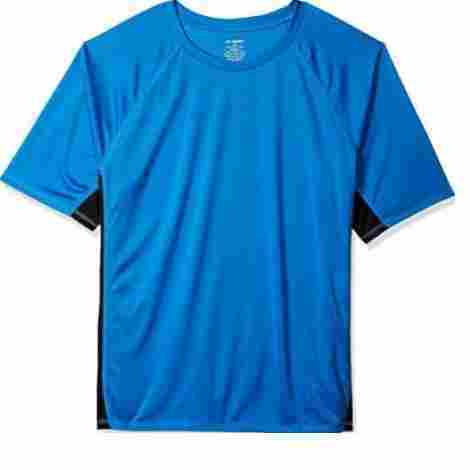 The short sleeve version can be used as an undergarment or alone on warmer days. The long sleeve type is good for added insulation when the water is cooler. 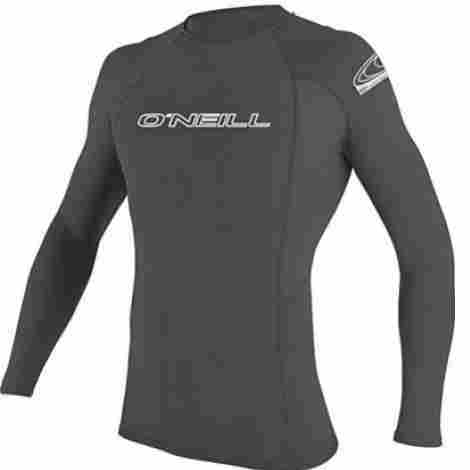 You will typically see users wearing these as a stand-alone, as the sleeves tend to bunch underneath a wetsuit. The full body design is great for many water activities. You can choose to use them separately or under your wetsuit. The full body version is known for reducing the amount of bunching that goes on under the suit. As for the vest, they are great for rigorous activities in the water. They provide you with a sense of freedom in your movements as there is no coverage to the shoulders or arms. This selection will definitely provide warmth to your core are but keep in mind it is not the best option for cold water. However, there is one last option for this type of protective clothing. For some, this will be the better fitting option as it is made to fit slightly looser than typical protective water gear. 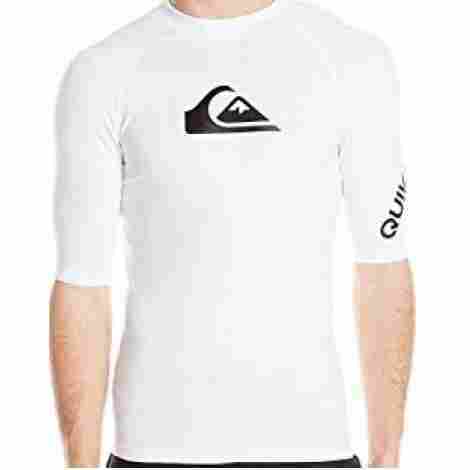 The swim or surf shirts can offer much of the same protective qualities. Making this a great option for those who prefer a fit not quite as snug. Along with the style options, comes your sense of style. With the growing popularity of this product, you will notice that color and designs are more widely offered. When fashion is your thing there are plenty of choices out there for you to be the inspiration at the beach. Aside from the obvious protection from rashes caused by skin irritation, this style of clothing can also be made to perform in two other categories. They will offer you two added lines of defense while enjoying your time in the great outdoors. You can choose to use this clothing option for its thermal benefits. Adding a layer of warmth between you and your wetsuit or the water. Then there is the protection from the sun, basically, all types of this garment will provide you with this feature. There are some options on the market that tend to offer slightly more than others in this area. Below you will find some facts for both the thermal and sun protective clothing. Thermal: Many will use these as an option for surfing when a wetsuit is too warm to be used but they need a layer for warmth. Another way to be sure that the material is thick enough to provide warmth is to look for the short phrase “thermo” on the tag. The main material option for the thermal version is neoprene, which is measured by its thickness. The thicker the label states that the material is the more warmth it will provide. One thing we learned is that some labels will have two numbers appearing to be in fraction form. This is two separate thicknesses, the first number will identify the thickness of the core section. The second is the thickness along the sides and the arms of the garment. Sun Defense: This category is pretty general as far as the information goes. These come as either a short or long sleeve option. They are made to be snug fitting. For a looser version, the surf shirt may be the better option for you. Choosing a short sleeve option means a little less restriction to your movements. While the long sleeve selection will provide a little more coverage. Look for materials that offer you an SPF rating. The higher the rating, the more defense against the sun you will have. The most popular material selection for warmth is neoprene. The thicker the material the more warmth you will get from it. It is best to choose a material that will provide you with an SPF factor. This ensures that your exposure to the sun will be a safer one. The SPF can be added to the material in one of two ways. The first is an application that is added to the fabric after the garment is created. The second occurs while the garment is being made, as the protection is blended by knitting it in. Another quality the material needs to have is breathability mixed with the ability to dry quickly. After all these two qualities are what creates the best line of defense against getting a rash. The apparel can be made from a combination of several material choices to get these to traits. Spandex, polyester, and nylon are all good materials for this type of protection. Spandex is known for its stretching abilities this is where the snug fit comes in. Polyester gives the garment the breathability it needs to dry quickly. Here we come to another important aspect for choosing the right protection. When choosing this type of gear for participating in sports, you will need one that provides you with a snug fit. Now we know that not everyone is comfortable in this style of clothing. Just keep in mind that the less rubbing that occurs during activities, reduces the chance for getting a rash. Which is why this type of apparel was created in the first place. A tighter fit will also give you less resistance when traveling through the water. Making your movements less restricted for better performance possibilities. You also want to choose one that has a seam construction that will not rub against you. Garments with flat seam construction are the best-suited option for watersports. For those using this as an option for lounging on the beach or by the pool, you won’t need one that fits quite that snug. You can certainly choose one that allows for more room that makes for a more comfortable feel. You will, however, want one that has some defense from the sun. Especially if you will be outside for longer periods of time. The rating for the SPF should be found clearly written on the label for the garment of your choice. A good choice for defense against the sun will have a rating of SPF 50 or higher. Some of these will come with added material to protect your neck from the sun as well. The neck is the area of the body that gets forgotten about when applying sunscreen. You can choose an option that has a higher neckline much like the turtleneck fashion. No matter which neck style you go with, you just want to be sure that you try the top on for fit. Some can’t stand the tight feel of a high neckline. Trying on before you buy can help you decide this factor before hitting the water. Q: How should this clothing type fit? A: This is a common question asked by many people. The answer will depend on your reason for purchasing this type of garment. For example, a person seeking only coverage from the sun can certainly benefit from a loose fit. While an active watersport enthusiast will need a totally different fit style. When using this for sporting purposes you need a more snug fit. This will negate the amount of restriction that can occur while moving through the water. The snug fit will also reduce the amount of friction that occurs inside of the clothing. Less friction means less chance for a rash to occur. Q: Who tends to wear a rash guard? 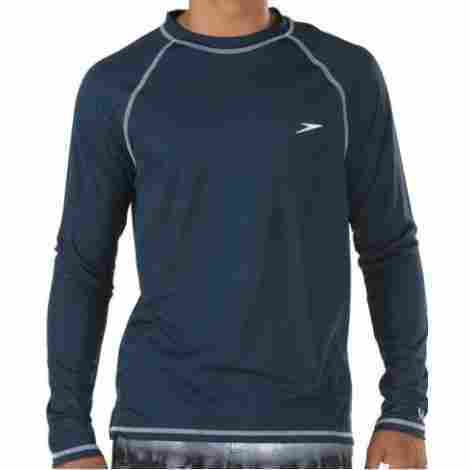 A: When this type of apparel first hit the market it was popularized by those who enjoy surfing. It was originally meant to provide a layer of protection between them and the board. This was done to reduce the number of rashes that occurred due to friction. Now with the changing times, these have become a more popular form of protection. You will find that people are wearing them under their wetsuits for added warmth. While others are using them as a means of defense against the sun. You will notice that there are many who use these for work as well as play. Q: Can these be worn while swimming? A: Yes you can wear this type of clothing while swimming in a pool, lake, or any other body of water. One precaution you will need to take is the way in which the garment fits you. A tighter fit will be best in this situation loose clothing can restrict your ability to move. The loose material can also at times get in the way. You may also notice that adding this to your water apparel will provide you with added warmth during your swim. Q: How do I choose a rash guard that will also keep me warm? A: When looking for an option for added warmth you want to choose one made from a thicker material. A good example of this material type would be neoprene. Now for the warming factor, choose an option with more thickness. The thicker the material is the more warmth you will get from it. Most times manufacturers will use two different thicknesses in one product. With the thickest part of the clothing being the core area. While the sides and arms are thinner as not to restrict the user’s movements. Q: How do you care for apparel of this type? A: It is always best to check the directions for care or washing before you attempt to clean any apparel type. Although as a general rule with this type of gear it is best to machine wash on a delicate cycle. Making sure to wash any printed shirts inside out to preserve the print. It is best not to dry these in your dryer as some will shrink when exposed to this type of heat. It is better to allow them to hang for air drying. Q: Which fabric is the best choice? A: When it comes to fabric options there are many benefits to each choice. You will, however, want a fabric that will offer breathability and fast drying properties. A spandex polyester blend option will offer stretch you need for comfort and will be quick to dry as it is a breathable material choice. When seeking an option for warmth, neoprene is a thicker material that can keep you warm. Above all else, you will want to try whichever material you choose on. This will ensure that you will be comfortable with the choice you have made.